Looking for deals in Florence? 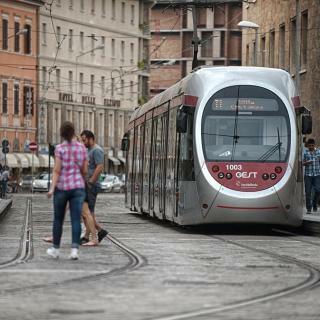 C-Hotels Joy offers accommodations in the heart of Florence, 492 feet from Firenze Santa Maria Novella Train Station. Guests can enjoy the on-site bar. Free WiFi is featured throughout. Great location, great crew, very very clean! Located a 15-minute walk from Santa Maria Novella Train Station, Horto Convento offers rooms with free WiFi in Florence. Guests can enjoy a garden and an on-site bar. Beautiful interior, quiet oasis in the midst of Florence. Lovely neighborhoods nearby. Nice place to return to after a busy day of sightseeing. Located in central Florence, 1312 feet from Fortezza da Basso, Hotel Glance In Florence offers a lounge bar, a rooftop outdoor pool with panoramic views of the city. It also features free WiFi access.... Friendly and very helpful staff. Great secure location. Walking distance to all sightseeing attractions. 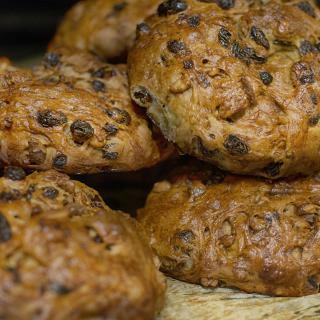 Large breakfast selection that would suit most people's taste and delicious freshly made tea and coffee, cappuccino etc.. Exceptionally clean rooms and breakfast/restaurant areas. Lovely rooftop bar with views for pre or post dinner drinks. Set in a 16th-century palazzo, Hotel del Corso offers accommodations in the historic center of Florence, within 984 feet of the Cathedral, Piazza della Repubblica square, and Palazzo Vecchio. Very good service, and the location was great! Just 2297 feet from the main railway station, Lungarno Vespucci 50 features old-world charm, friendly staff and a roof garden overlooking the Arno River in Florence. The place is beautiful! My room was very spacious, with a living room and a huge bathroom. Right on the Arno River bank, Plaza Hotel Lucchesi is a 10-minute walk from Piazza della Signoria. It features air-conditioned rooms, a 24-hour front desk and traditional restaurant. Staff was extremely froendly in trying to help in every little request I had. Highly recommend it! Grand Hotel Minerva features a rooftop swimming pool and sun terrace with views of historic central Florence. 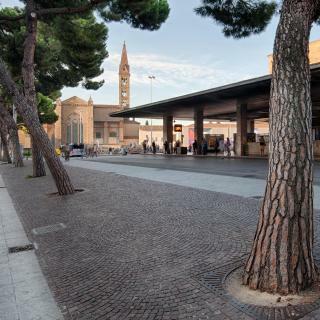 Santa Maria Novella Train Station is just 330 yards away. Cleanliness. Housekeeping done several times daily. Ottantotto Firenze is set in Florence, 1312 feet from Pitti Palace and 2297 feet from Ponte Vecchio. Guests can enjoy the on-site bar and a garden. Amazing decor, attention to every little detail. Set in a 17th-century building, Solo Experience Hotel overlooks Florence's Basilica of San Lorenzo, and offers large rooms with free Wi-Fi, air conditioning and private bathroom. I loved how polite and professional the staff were! Room Mate Luca is in the historic center of Florence, a quarter mile from Michelangelo’s David in the Accademia Gallery. Good location, great breakfast, lovely decoration. Reception staff very friendly. Located in Florence, within a 9-minute walk of Santa Maria Novella and half a mile of Strozzi Palace, Palazzo D'Oltrarno - Residenza D'Epoca provides a shared lounge. Beautiful place, perfect location, spacious and clean room, amazing historical building. Boasting a shared lounge, The Moon Boutique Hotel is set in Florence, a 10-minute walk from Fortezza da Basso and 2625 feet from Santa Maria Novella Train Station. Friendly staff, informative and helpful. Central location. Located a 5-minute walk from Pitti Palace, Palazzo Ridolfi - Residenza d'Epoca in Florence features a shared lounge. Huge room! Good taste! Decoration is astonished! Very helpful staff! A 15-minute walk from Fortezza da Basso and the fortress gardens, Hotel Firenze Capitale is located in Florence. Offering free Wi-Fi, the property is a 20-minute walk from Piazza della Signoria. Its 15 min walking from the center of florence which all the shops and restaurants can be located. Only 820 feet from Florence Cathedral, boutique hotel The Frame is set in a historical building famous for being the place where the Mona Lisa was recovered in 1913 after having been stolen from the... Everything, the hotel is just perfect in every single aspect. Featuring panoramic views of Florence and the Arno River, Portrait Firenze offers luxurious rooms with handcrafted furniture. This hotel is 98 feet from the famous Ponte Vecchio bridge. The staff were very friendly. Felt like home. Set just 7 minutes’ walk from Santa Maria Novella Basilica, J.K. Place enjoys superb panoramic views from its rooftop terrace. Beautiful decor, excellent service and great location. Hotel Milù features an unbeatable location in the heart of Florence's historical center and offers beautiful views of the city and the hills from the rooftop terrace. the location is perfect, very easy and pleasant walk to most sight. room is big and clean. Which hotels in Florence are good for families? Many families visiting Florence loved staying at The Frame Hotel, Palazzo Ridolfi - Residenza d'Epoca, and Hotel David. Which hotels in Florence offer an especially good breakfast? For hotels in Florence that serve highly-rated breakfasts, try Hotel David, Art Hotel Villa Agape, and The Frame Hotel. Which hotels in Florence are good for couples? These hotels in Florence are highly rated by couples: Hotel David, Palazzo Ridolfi - Residenza d'Epoca, and Portrait Firenze - Lungarno Collection. How much is a hotel in Florence for tonight? On average, it costs $107 per night to book a 3-star hotel in Florence for tonight. You'll pay around $136 if you choose to stay in a 4-star hotel tonight, while a 5-star hotel in Florence will cost around $416, on average (based on Booking.com prices). Which neighborhood is the best one to stay at in Florence? Florence Historic Center, Careggi Rifredi, and Novoli - San Donato are popular with other travelers visiting Florence. How much does it cost to stay in a hotel in Florence? On average, 3-star hotels in Florence cost $102 per night, and 4-star hotels in Florence are $159 per night. If you're looking for something really special, a 5-star hotel in Florence can be found for $432 per night, on average (based on Booking.com prices). What are the best hotels in Florence near Nelson Mandela Forum? Some of the best hotels in Florence near Nelson Mandela Forum include Romantic and Charming Apartments, Appartamento SAve Firenze and Dimora degli Artisti B&B. Which hotels are the best ones to stay at in Florence? Hotel Spadai, Art Hotel Villa Agape, and Grand Hotel Minerva are some of the popular hotels in Florence. Which hotels in Florence have nice views? Art Hotel Villa Agape, Villa Cora, and Ottantotto Firenze got great room view-related reviews from travelers in Florence. How much is a hotel in Florence for this weekend? The average price per night for a 3-star hotel in Florence this weekend is $300 or, for a 4-star hotel, $324. Looking for something even fancier? 5-star hotels in Florence for this weekend cost around $837 per night, on average (based on Booking.com prices). What are the best hotels in Florence near Peretola Airport? Travelers who stayed in Florence near Peretola Airport (FLR) have said good things about Hotel Real, Hotel Franchi, and EurHotel. 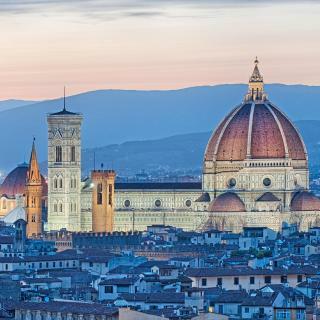 Best-known for the stunning Duomo, Florence is full of amazing buildings and its historic center. The Ponte Vecchio, a 14th-century bridge holding a multitude of shops on its edges is a stunning example and provides a truly unforgettable view. Dig into more of the city’s historical past at the Basilica of Santa Croce, a Franciscan church full of great artwork and the burial place of Italian greats: Michelangelo and Galileo. The Uffizi Gallery is one of the world’s finest art museums and the Pitti Palace is not far behind. 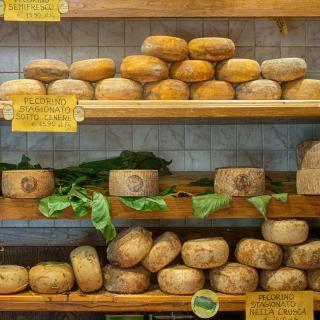 For great dining, the Santa Croce district has countless options and the unique lampredotto is Florentine fast-food with a 1000-year old history. Many consider the local gelato, Italian ice-cream, to be the best in the world. 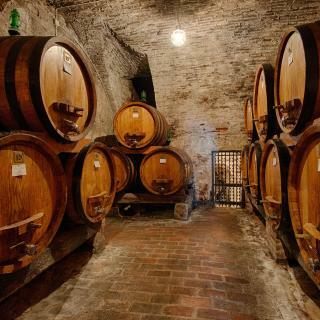 The beauty and flavours of Florence are just a 15-minute train ride from the Amerigo Vespucci International Airport. Whether you’re looking for a room with a view at a cosy B&B, a luxury hotel or an intimate guesthouse, Booking.com has the perfect accommodation for your Florence adventure. Florence is one of the most beautiful historical cities in the World! Besides the Uffizzi Gallery (tne number#1 in Renaissance art); the sun setting over the Arno, seen from the Piazzalle Michelangelo; the delicious Bisteca Fiorentina; the wonderful galleries of small restaurants and different kinds of food on the first floor (balcony) of the Central Market (open until 01:00 am! ), with incredible and affordable options - we had the privilege of staying at the CERRETANI Firenze Hotel (Mgallery by Sofitel)! THe hotel has an incredible location, just 3 minutes walking to Il Duomo and the Batistero! It is located just in front of the most glamurous street in town: The Tuornaboni Street! The rooms are beautiful; comfortable and cozy. Breakfast (included) is just delicious and served as a buffet (all you can eat) in a wonderful breakfast area with modern décor including TV screens showing contineous videos of relaxing nature views. The hotel staff is wonderful! Always ready and happy to help, and always with a smile. One thing though you have to be prepared for, if you are coming to Florence downtown by car... Parking (the hotel indicates a garage service, and your car will be ready just after 30 minutes of a request) is expensive. But, in general, the CERRETANI was a major help for our wonderful stay in Florence! The city of Florence is very beautiful I will definitely come back with my friends one day. I found a nice hotel in there Hotel Minerva near the church but I bet that is very expensive!! I am an average traveller on a budget I like hotel not cheap but not expensive. One of our friends met us there and brought us to an Aperifif? Restaurant. It was just an overnight stay, we were just passing through to go to Pisa, Italy. Florence is beautiful but need more time to enjoy the place, had no chance to visit the museum, but my overall trip was fantastic definitely I will come back one day. Ah, Florence! What don't I love about you? As a historian of the Renaissance, I find treasures on every corner. This time, I stayed right near the Medici Chapels at San Lorenzo at the simple but fabulous Hotel Aldobrandini. Close to the train station and only a few blocks from the Duomo, this one-star hotel is close to good restaurants and really has all you need. We had two nights and then drove to Cinque Terre before returning for another 3 nights. We loved the variety of Florence. There was so much to do. Try hiring cycles and heading to Signa. It's about 10km away along a great bike track alongside the river. Once there you can relax around an outside pool. You do have to pay but we had a lovely day there. Don't forget your bathing cap though or you'll have to buy one. Obica is a lovely place to dine and reasonably priced. SO much to say but a lot can be found in guide books or any helpful hotel receptionist will offer suggestions. We stayed at Hotel del Corso with lovely Chiara and then for our return stay we were at the Pendini with a good view of the carousel in the piazza below and also the Duomo a few streets away. Good for two or three days. Some churches and some other things to visit Be careful that some places are very expensive to visit. There was one church for example, where I paid 6 euros, entered, and there was just one small room to visit... Was quite disapointed. First sunday of the month, some places are free to access such as the Boboli (bubble) garden. If you go there on the first sunday, you can save quite a few euros or entrance fee. On the street of Hotel Rex (about 300 meters from the hotel on that street, there is a very cheap place to buy magnets for 1 euros, and other souvenirs for 1,2, or 3 euros. The cheapest place that I have found. Shopping was great. Check out Alberto Cozzi for handmade paper products and Peruzzi is definitely the place to go for leather goods. Enjoyed the Hop On/Off Bus tour. It's the best if you want to get up close to a sight, jump off for awhile, and then hop on the next bus. Saves a lot in cab expenses. 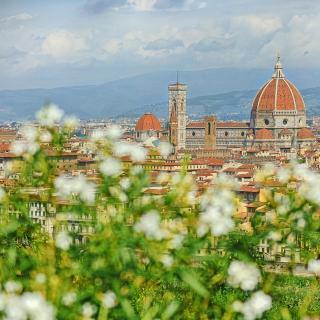 Go to the Piazzale Michelangelo for the best view overlooking all of Florence. The hotel I stayed at, the Hotel Berchielli, was reasonable in price, has wonderful staff, and a great location (1 block from the Ponte Vecchio). There are lots of stalls everywhere in the city selling everything from tourist souvenirs to leather goods. However, I would not buy leather goods at any of these places, as I was told by multiple sources, that they came from China and were not made in Italy. Great vacation, lots to see, and I enjoyed every minute of it. Anna is amazing! From arrival to departure she has been beyond helpful and accommodating. We took the upgrade for the upstairs room, and even though you would properly wake early due to sunlight, the rest of my trip in Italy I missed this kind of balcony with this kind of view. Breakfast on the small patio is a must and do yourself a favor and enjoy a glass of wine and view the city by night. So far. Staying with Anna has made my experience in Italy so much more pleased and warm. Definitely one of the best finds in Florence ! Friendly and warm-hearted staff. The breakfast was very delicious and Various. The room was very clean and cozy it is the best experience in the whole trip in Italy. The friendly staff showed us patiently the way to visit the whole Florence city and the best restaurant. The location was super and it is fast all walking ways to all the beautiful sceneries around. We would like to have the chance to live in this hotel again in the future. Location: Perfect! Near to the train station, and central locations. Many restaurants around the area. Everything was walking distance Breakfast: Good! A variety of food, I stayed in 3 hotels in Italy and this one had the most choices to choose from Bed: comfortable Room: comfortable, however the first night was abit noisy as the window was unhinged, but informed the reception and it was fixed ASAP. Thumbs up for them! Everything was great! Giorgio is so kind and helpful, he does EVERYTHING in this place and its all perfect clean tasty and welcoming. We stayed at 4 places during our trip in Italy and Maison Bianca was absolutely the best! The room looks very good even better than hotel rooms in my opinion, yes the location is a not the best but it definately worth it. Thank you so much Giorgio we had a great time! Everything! The room was exquisite, the bathroom luxury and the views incredible. The bed was comfortable and the addition of a smart tv was a nice touch. View of the river was beautiful and the large rainfall shower and deluxe spa bath were perfect to unwind after a day exploring Florence. Breakfast was served at a cafe a few doors down, with one of the best buffets we had in Italy. The hotel was close to the train station so ideal if you were traveling around Italy by train. 10 minute walk to see Duomo. Breakfast a bit meh but fine. Rooms were a great size with air con. Very nice bathrooms too, plenty of towels. Exactly what we needed. Not too fancy (we were traveling with our 3 children) but functional & well priced. What a great hotel in the heart of Florence. We had great accommodations, found the service to be exceptional and the complimentary breakfast was the best my family has ever experienced in any hotel in Italy. The quality of food was great. One perk is that they have an elevator for the physically challenged. Property was simplylovely. Staff impeccably friendly and kind. Specially Mario and Mateo1, Mateo2 and Simone. Men, you are a great team! Breakfast best you can eat in Firenze. Villa Agape Firenze a little Oasis worthy of Florence. Firenze Italy a gift of GOD to the world! Front desk staff was very helpful and accessible. The breakfast had many choices . Was able to leave our luggage with hotel when we travelled outside of Italy for 4 days. Was walking distance to all the attractions and across the street from the Arno, beautiful!! The rooms were modern and clean. There’s an elevator to get to the higher floors which isn’t always to be expected in Italy. 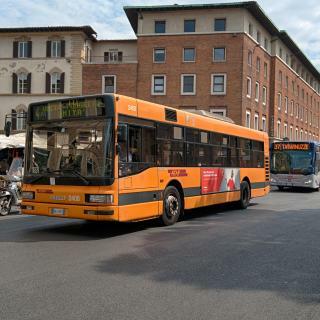 Great location for walking to most of Florence’s tourist attractions and restaurants. Francesca greeted us with a smile! The best hotel not only in Florence but in Italy! Very friendly and helpful, nice people are working here. Elegant renovation in historical building. Very spacious room with beautiful painting. Wish will be back here soon! Frederico and Francesca were extremely helpful and hospitable. The hotel was very impressive with decoration and every convenience. This was our top stay out of 5 while in Italy. We will recommend to all our friends. Our room was beautiful, clean and comfortable! The staff were all very helpful and friendly. Probably the best breakfast we’ve had so far at a hotel in Italy. Would definitely stay here again!! It's the best hotel where I've ever been in Italy. The number is very comfortable, the atmosphere the atmosphere is quite and staff is friendly and kind hearted. Thanks, Quattro Poeti. All was perfect, big room,comfort of the bed, location and breakfast.. we enjoyed the hotel the most throughout our journey in italy!